Gosh! This is cool! Don't you have the scan to post it? And I see that Sakura (CCS) is hugging that Kobato's dog... I don't remeber its name... 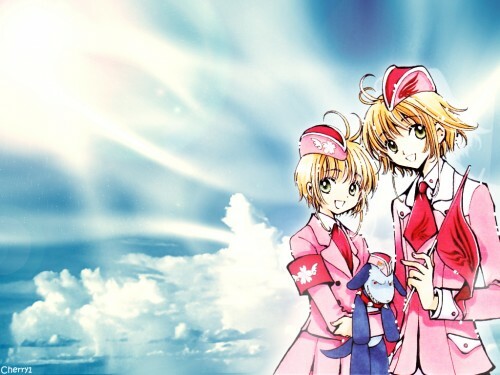 This surely is from CLAMP no Kiseki, ne? The sky background is very nice! The cleaning work at the scan seems very good too! Congrats! hey neat! seeing the two sakuras together just makes it even more cool! thanks for sharing! This is a simple wallpaper and very goooood wallpaper! Gob Job! Awwwwwwwwwwww I love da TOY!